Richardson Pioneer is a renowned leader in the agriculture and food industry. 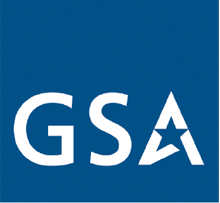 Involved in all aspects of the agriculture product cycle from growing, handling and processing to food service packaging, they bring agriculture full circle. 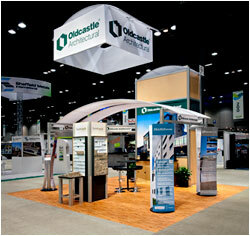 To significantly expand their presence at trade shows, Richardson took a strategic approach. 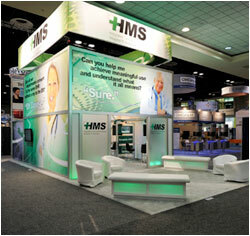 Richardson wanted ample space to network and communicate with customers without feeling crowded so they decided to increase their show space and upgrade their presentation. 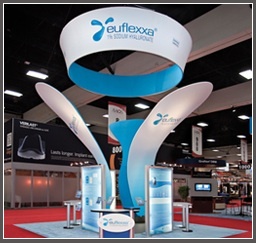 Richardson turned to Nexus Exhibits to design a display that would communicate their brand more successfully than their previous trade show display. Richardson Pioneer wanted an open and inviting environment that also included an enclosed area dedicated to exclusive face to face meetings with buyers. 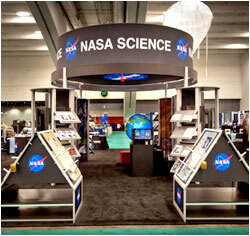 In addition, Richardson wanted the ability to use the exhibit in different space sizes in order to achieve a return on their investment. 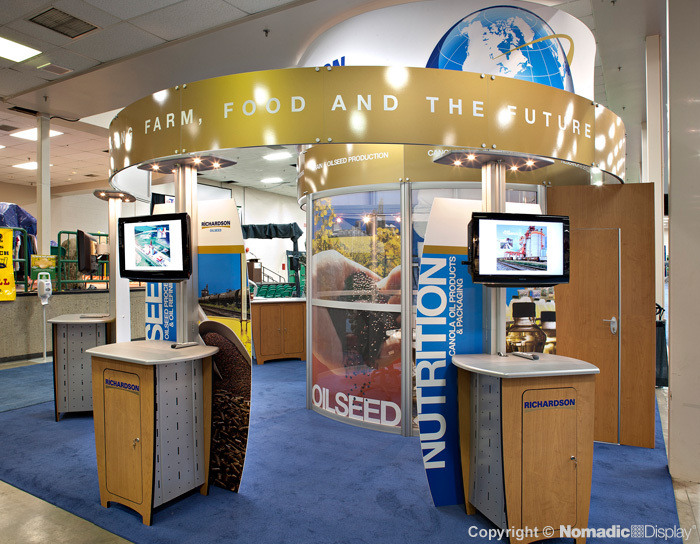 Nexus Exhibits collaborated with Nomadic Display to produce a dynamic trade show display that portrays Richardson Pioneer as a leading brand in the agriculture business. The fresh, new look encouraged interaction. 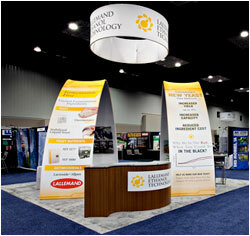 Four graphic kiosks surround the booth with looping promotional video on Richardson’s state of the art industrial products and services. At the center of it all is a meeting area-in-the-round for more private discussions. 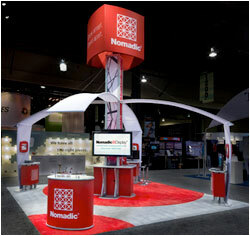 The trade show booth enabled Richardson to showcase their brand, products and services under one versatile platform that could be repurposed and reused for different events. Since Richardson’s anticipated debut at Agri Trade 2010 they have gone on to win numerous awards for their display including: “Best Large Booth” at the Western Canadian Crop Production Show and “Most Innovative Booth” at the Lethbridge Agri Expo. Their new trade show display is also being used by another Richardson Division: Richardson Nutrition, for shows throughout the continental U.S.A. Now that’s a great Return on Investment.